In this episode, Pam and Lynn chat about modern quilts and being a modern quilter, and share tips for precision piecing. This episode is brought to you by QT Fabrics and EnMart! The quilt hanging behind us is the lap size version of Sew in Love! You can get the PDF pattern at our digital shop. You can find our calendar of upcoming events here. Quiltoni does pixel quilts; check out her Twitch channel! Today’s episode was brought to you by EnMart and QT Fabrics! 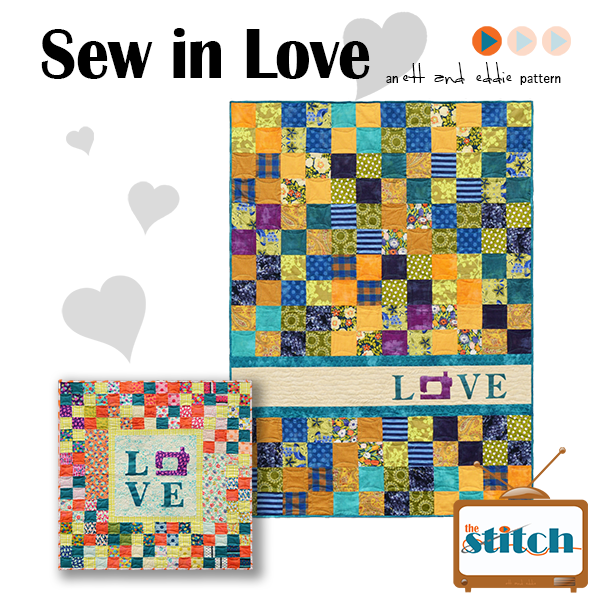 Our next Virtual Stitch-In is Friday April 12 at 7pm US Eastern. Our next Book Club is March 22 at 7pm US Eastern!